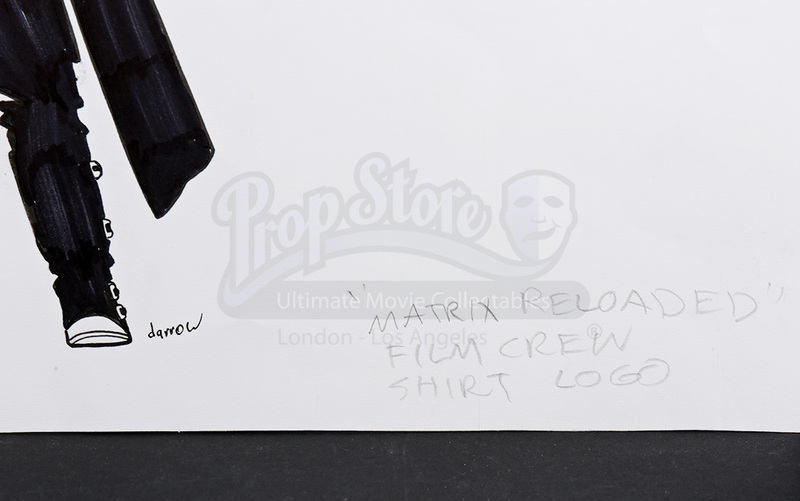 A crew shirt logo concept for the 2003 action packed sci-fi sequel, The Matrix Reloaded. 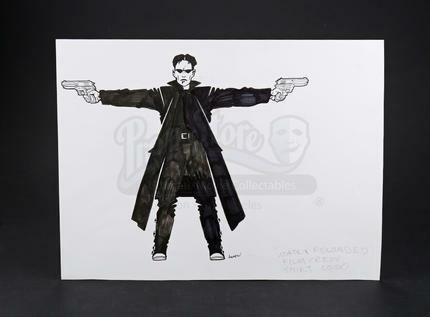 In the film, Neo (Keanu Reeves) must find a way to save the last human city of Zion from the relentless machine sentinels, while learning more about the dark origins of the Matrix. 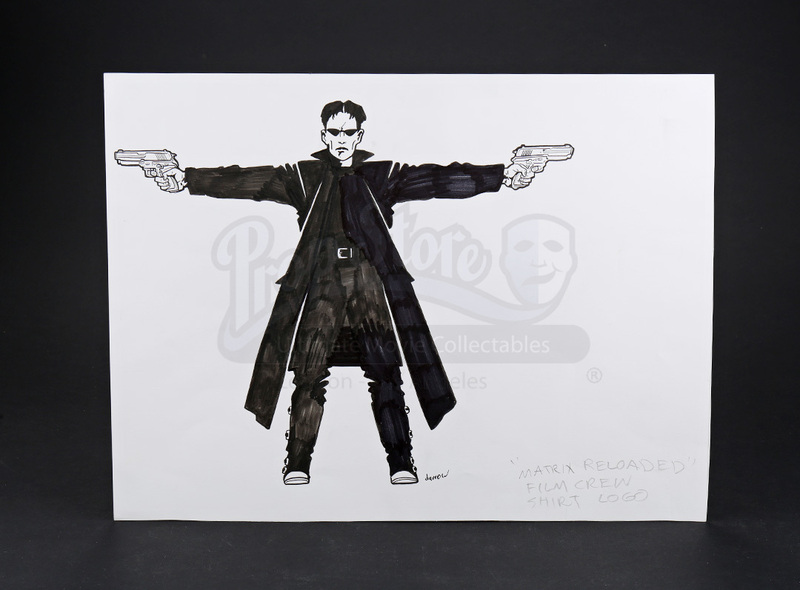 Designed by the film's conceptual designer Geoffrey Darrow, the piece was a concept created for the film's crew shirt. 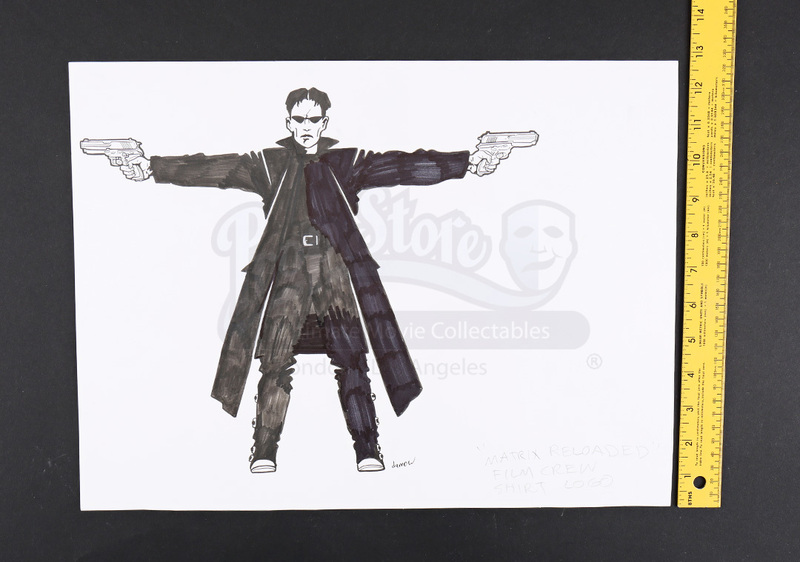 The concept piece features a hand-drawn sketch of Neo with a gun in each hand as well as the name "darrow" signed by Neo's foot. The piece shows some wear and minor discoloration from age and storage, but remains in overall very good condition.